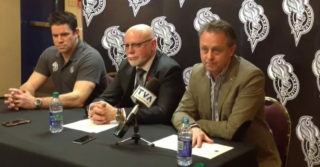 As we start the month of November, the Gatineau Olympiques are proud to announce today that many players and members of the organization will take part in the Movember campaign to raise funds for men’s health. 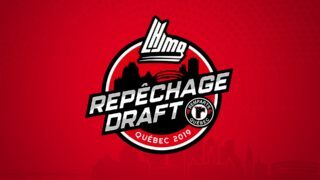 David Aebischer, William Basque, Gabriel Bilodeau, Shawn Boudrias, Tristan Berube, Kieran Craig, Jeffrey Durocher, Giordano Finoro, Zach Fortin, Creed Jones, Darien Kielb, Pier-Olivier Lacombe, Manix Landry, Iaroslav Likhachev, Darick Louis-Jean, Chris McQuaid, Remi Poirier, Alexandre Pellerin, Metis Roelens, and Charles-Antoine Roy will all grow a moustache to raise funds and do their part in the ongoing battle against prostate and testicular cancer in particular. More than 5.6 million men across the world live with prostate cancer and in Canada alone, one out of seven men will receive a positive diagnostic. The need for awareness is greater than ever. Weekly updates on their moustaches will be posted on the team different social media platforms. 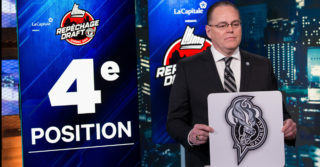 The public will be able to donate on the players’ individual pages and all the funds will go to the Olympiques’ team page that you can access HERE.